Christine Blasey Ford who accused Supreme Court nominee Brett Kavanaugh of sexual assault said that next week hearings on her allegations won’t be fair or adequate. Ford’s attorney said that Ford believes Republican senators are acting unfairly by scheduling a hearing on Monday without looking for any additional witnesses after Senate Judiciary Chairman Chuck Grassley refused to expand the list of witnesses or ask for an FBI investigation into claims, Bloomberg reported. “There are multiple witnesses whose names have appeared publicly and should be included in any proceeding. 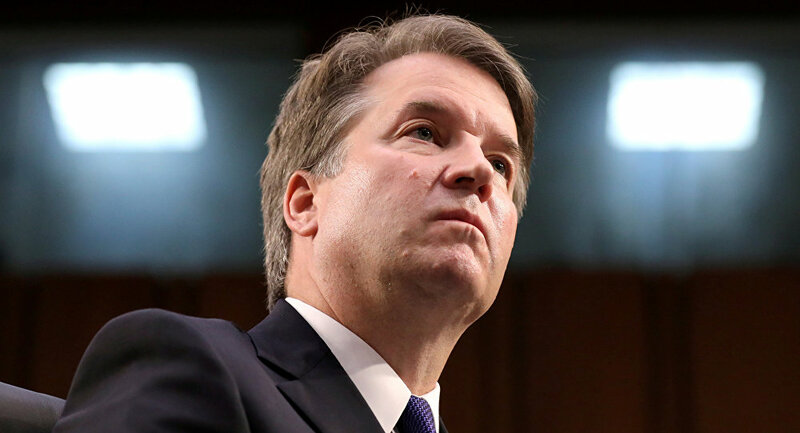 The rush to a hearing is unnecessary and contrary to the committee discovering the truth,” Ford attorney Lisa Banks said in a statement. The statement also outlined that Ford is still planning to cooperate with the committee but did not want to appear at a hearing where the two of them would be the only witnesses. The decision to restrict the hearings to only Kavanaugh and Ford was made by Grassley he made clear he would not postpone the hearing past Monday. “It would be a disservice to Dr. Ford, Judge Kavanaugh, this Committee, and the American people to delay this hearing any further,” Grassley said in a letter, noting that there were obstructions on every turn of the process and that any additional complains would be viewed “skeptically”. Grassley also asked Democrat senator Dianne Feinstein to give him a copy of Ford’s original letter featuring the allegations. On Tuesday Banks and another lawyer Debra Katz said Ford wants the FBI to investigate her claims before she appears before the court, however, Grassley said that the whole process is up to the Senate to investigate. He also told the lawyers they must meet on Friday 10 am to submit her planned testimony if she still plans to appear on Monday. Another Republican senator, Judiciary Committee member John Kennedy told Bloomberg Television that he really hopes Ford would change her mind. “The hearing’s scheduled. Please come, Dr. Ford,” he said. Meanwhile, some of the Senators had already made up their mind on whether they will vote for Kavanaugh’s nomination for the position of the Supreme Court Judge. Senator Claire McCaskill, who is facing a tough re-election battle in Missouri in the upcoming Midterms, said she will vote against confirming Kavanaugh regardless of Ford’s appearance on hearings. — Claire McCaskill (@clairecmc) 19 сентября 2018 г. President Trump said that he’d really wanted to see Ford on hearings and see “what she has to say”. In his previous statements, Trump defended his nominee for the Supreme court. “He is such an outstanding man, very hard for me to imagine that anything happened,” the US President said.